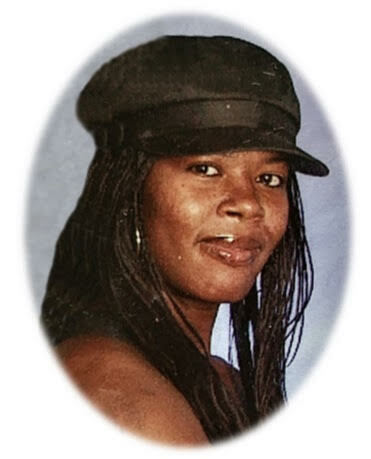 (Lancaster) Aranicka Sanders, 41, died Thursday, October 18, 2018. Funeral Service will be held Wednesday, October 24, 2018 at 12:00 Noon, Crawford Funeral Home Chapel, Rev. Kenneth Cauthen will Officiate. . Viewing will be Tuesday, October 23, 2018 from 1:00 PM until 7:00 PM at Crawford Funeral Home. Aranicka Sanders, a daughter of Linda Sanders Greene and the late James Neal Greene was born March 30, 1977 in Lancaster, South Carolina. She was married to Eddie A. Hinson. Survivors include her husband of Lancaster, SC, one son Samecca Mingo of Rock Hill, SC, three daughters, Alicia Sanders of Rock Hill, SC, Shawanda Mingo and Marqueisha Delk both of Lancaster, SC, her mother of Lancaster, SC, two brothers, Jamie Sanders of Atlanta, GA, Keenan Miller of Kershaw, SC, one sister, Briana Miller of Kershaw, SC, and four grandchildren.